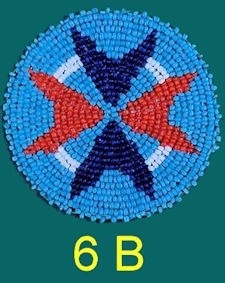 Seed beads are sewn onto a leather pad to create the pattern, which can then be sewn or glued onto your craft project. Rosettes are 3" in diameter. 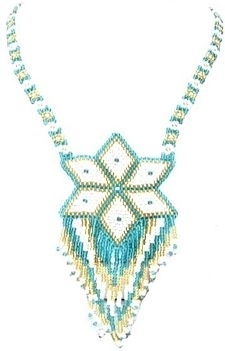 This seed bead rosette can be shipped internationally. This product was added to our catalog on 10/17/2018.